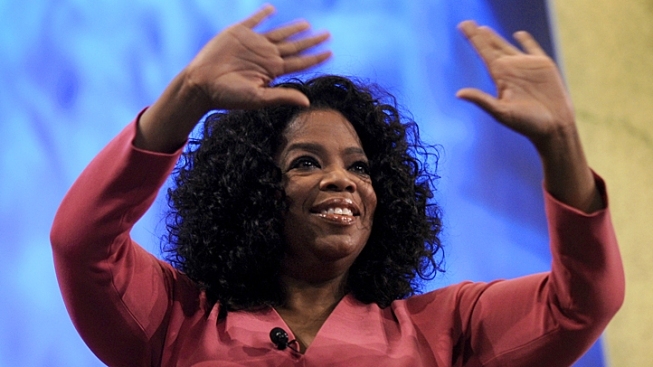 News circulated on Friday that Oprah topped the list for those to host the next Oscars. But it appears to be little more than gossip. The daytime legend's rep told E! News that the Chicago Sun-Times report is "not true--it's only a rumor." According to the Sun-Times, Motion Picture Academy sources said they hope Oprah would host 84th annual Oscars next February because it would expand the Oscars audience with viewers who miss Oprah after her 25-year daytime television run ended in May. But another Motion Picture Academy source told E! news that names aren't even considered until a producer is chosen and he or she usually pitches the host-- and no producer has been chosen yet. "Every year there's great interest and excitement about who will host the Oscars," Teni Melidonian of the Academy said. "With that, various rumors begin to take on a life of their own. This is a wonderful example of just that, and at this point, there is nothing for us to comment on regarding who is or is not on the rumored Oscar host list." Winfrey's name has been floated in the past, and she's even presented an award before.